Committed to you, we care! Olympic Advisors is a specialty Destination Services Provider founded over 25 years ago. We are committed to providing relocation services of exceptional quality to each and every client always with the highest ethical standards and integrity, always on a cost-effective basis. We are the trusted Destination Services Provider in Spain. Quality and results oriented; count on us to get the assignment done right because, we care! We provide the customized relocation solutions needed to ensure your workforce with a seamless transition and enjoyable experience because, we care! We are committed to providing a problem-free relocation to you and your loved ones. Our dedicated, international team will handle the challenges because, we care! At Olympic Advisors we understand that relocation is about moving people, moving lives, and we care! We’re here for you. Not ready yet? No problem, take a look at the core services we offer, download the onepager below! 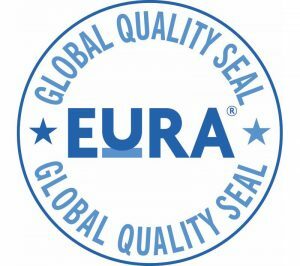 Olympic Advisors obtained the EuRA Quality Seal in July 2009. Based on an ISO 9001 process management model, the EuRA Global Quality Seal specifies the industry processes and KPI’s that reflect the very highest standards in relocation services.